David W. I am thankful to Drum Corps. Through its insanity I found peace. Through the activity I found last friendship and through its honesty and toughness I found motivation to be better. Jamie B. I love that almost all of my top news this morning is Music City Drum Corps related! Is it March yet?? François I. If any of you following the Drum Corps world didn't already know, Christopher made Blue Devils. Not B, A. I'm very proud of him and I'll be screaming like a little girl in the lots I can make it to. Tom T. DCI has become a new passion of mine. I marched with a Drum and Bugle Corps when I was in high school many decades ago. Got back into following it 4 years ago. Alex R. Dear Mom, I wish you would realize that there are still some Tuba spots left in the Cascades Drum Corps. It would be greatly appreciated if you let me join for the 2011 DCI season Sincerely, Alex. 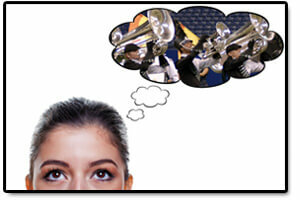 Matthew R. had to answer the question "What is Drum Corps?" today in my music appreciation class. Nicola W. I should be at a drum corps camp right now. Instead, I'm at home, by myself, watching Juno, and cross stitching. This is so wrong. Monica A. I wish I could find a doctor who did drum corps. Then they wouldn't look at me like I am an idiot when I explain to them why my back is falling apart.. or explain why I enjoy carrying the biggest bass I can wear. Mike L. just caught up to my bruthadrummer Joseph after probably 28 years??? unbelievable. Drum Corps still lives.